County of San Diego Health and Human Services Agency presents San Diego Blood Bank with the Public Health Champion Award! 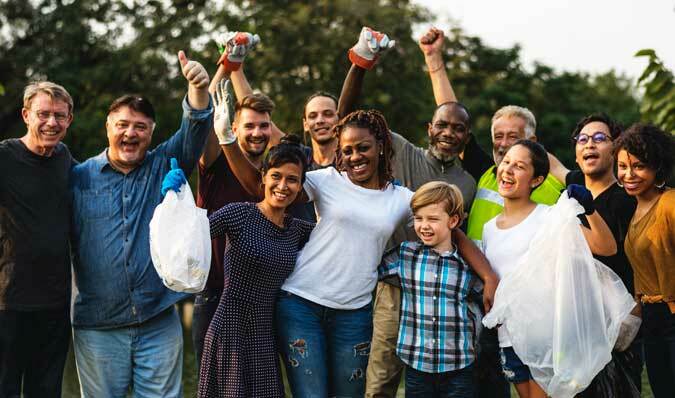 SDBB will be honored at the Annual Public Health Champion Award ceremony on April 5th, 2019. We are thankful for this honor and are proud of our critical role in the San Diego community. Join us in celebrating by continuing to be a champion for health in your communities. La Jolla’s Gillispie 3rd grade students held their 10th Annual Blood Drive and Bake Sale on February 12 and presented SDBB Foundation with a $3,742.30 check in support of the SDBB blood collections program. Over the last 10 years, Gillispie School’s 3rd grade students have raised and donated more than $20,000 for San Diego Blood Bank. The blood drive collected 45 blood donations impacting the lives of 135 people in just one day! There were 13 people who donated for the very first time and this drive was the largest turnout since 2012—Gillispie School's second largest drive ever! We are grateful for the students’ long-time commitment and partnership in saving lives! Students and staff presented a giant check, signed by the 3rd Grade Class, to VP of Development, Sherry Serio and Robert Nauman, SDBB Account Marketing Manager. More than most people, giving blood is part of my identity. For me, what makes being a donor so extraordinary is that it doesn’t require any skill, talent or special training. Kat donates platelets every two weeks. Platelet donation requires Trima machines to collect and separate the platelets through a process called apheresis. Donated platelets protect cancer patients from life-threatening bleeding risks after treatments deplete their own platelets. A campaign is underway to collectively raise over $500,000 to purchase and replace 14 Trima machines by December 2019. With updated software and improvements in the platelet collection experience, these machines enable Platelet Pledge donors like Kat to continue to donate. You can help by providing more opportunities to save lives by making a gift in support of new Trima machines for SDBB. Thank you to the Walter J. & Betty C. Zable Foundation for a generous grant to support two new Trima machines for SDBB. Trima machines (pictured above) separate blood components into red blood cells, plasma, and platelets. A $2,500 gift funds the DNA analysis of 10 blood donors to advance precision medicine. By supporting our Precision Blood™ program, you will be contributing to the research and advancement of precision medicine. SDBB envisions a new national standard of care where DNA analysis can enable more precise transfusion medicine. Making blood products safer via this strategy of Precision Blood™ will usher in an era of markedly improved transfusion medicine that SDBB believes will become a standard of care nationwide. 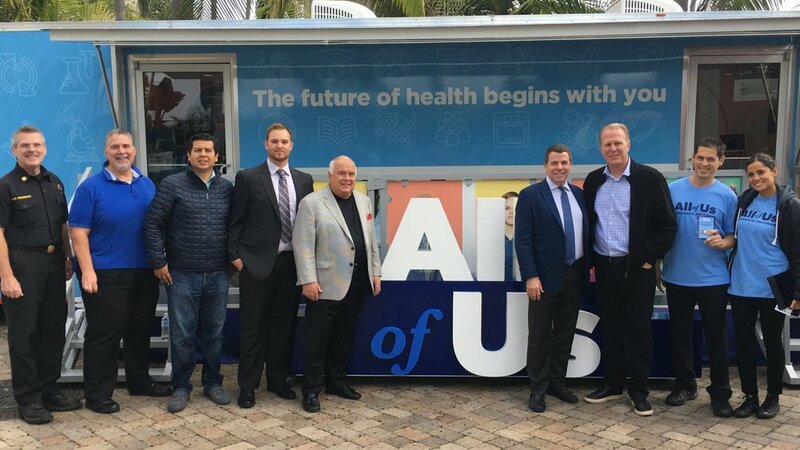 The All of Us Research Program, supported by the National Institutes of Health, is a historic effort to gather data from one million or more people living in the United States to accelerate research and improve health. By considering individual differences in lifestyle, environment and biology, researchers will uncover paths toward delivering precision medicine. SDBB partners with Scripps Research Translational Institute and UC San Diego to enroll participants in the local San Diego area and through blood banks across the country. CEO David Wellis is a primary investigator for the study and on the executive committee for the program. All of Us is more than just a medical research program. It's the promise of positive change for generations to come. Understanding your family health history could help you and researchers improve health for all of us. Learn more and sign up for All of Us here. 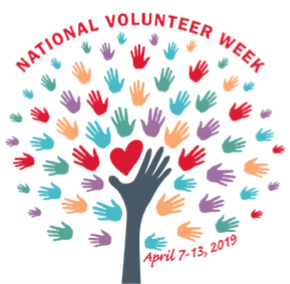 It’s with great pleasure that everyone here at San Diego Blood Bank recognizes National Volunteer Week 2019 (April 7-13, 2019) which brings awareness to the contributions of volunteers and encourages others to donate their time to worthy causes. All year long we rely on your generosity to help us coordinate donors at mobile drives, attend to donors in our canteens, assist us at special events and provide support wherever needed. We could not do what we do without you – so please know how incredibly grateful we are. On behalf of everyone here at San Diego Blood Bank, and those whose lives are saved by donated blood through the work you do, thank you for your time and talents. It’s with heartfelt gratitude that we say THANK YOU to our volunteers for the many years of support! SDBB was featured in San Diego County Medical Society’s (SDCMS) March edition of San Diego Physician Magazine. Learn about how SDBB has evolved since our founding in 1950 by SDCMS, and how, under the leadership of CEO David Wellis, Ph.D., we continue to innovate and maintain our critical role in our community’s healthcare system. View the digital version here. Everyone deserves to live a long and healthy life in a safe environment. To make that possible, we need to address the causes of poor health and disease risk among individuals and within our communities. Where we live, learn, work, worship and play affects each of us and can determine our health and life expectancy.